FROM JANUARY 1ST, new rules on the restrictions of how to use pest controls that have been agreed by the European Union will be enforced in Ireland. The new restrictions will mean that stores that sell rat poison will have to keep a record of how many rodenticides are sold, and professional pest controllers will have to sign up to a register to ensure they have the proper training. In a statement to TheJournal.ie, the Department of Agriculture, Food and the Marine said that the rules would also affect the farming community. As of the 1 January 2018, a Pest Management Users (PMU) will be required to provide their PMU Number to purchase rodenticide for trained professional use. Farmers will be required to provide their herd/flock number to purchase professional use product. As of the 1 January 2018, retailers/wholesalers will be required to keep records of rodenticides purchased and sold. The EU has voted to introduce new restrictions for AVK rodenticide products because of their “potential risks to people and animals from primary and secondary poisoning and to the environment”. AVK rodenticides – short for Anti-Vitamin K rodenticides, a name used to describe the way in which rodents are poisoned – are the most widely-used type of rodenticides. Despite AVK rodenticides being classified as toxic for reproduction, particularly in the high quantities that are found in rodenticides, their “use is permitted… since there is currently no satisfactory alternative product available to control rodent pests”. But, from the New Year, new restrictions will track the use of these pesticides in stores, on farms and in the professional pest control sector. According to the Department, under the new rules, the general public will be restricted to using rodenticides only indoors for mice control, and in and around buildings for rat control, in both cases in tamper-resistant bait stations. Due to the classification, the content of the active substance in the products was also reduced to <30 mg/kg for the general public. Consequently, the toxicity of rodenticides available to the general public will be reduced. Professional pest controllers can also use rodenticides in open areas, waste dumps and sewers, but will be required to sign up to a register. Brendan Ryan, co-founder and director of Irish Pest Control Association said that there were pest controllers out there that operated “below the standard that should be expected”. Farmers will also be affected by the new regulations – they will only be allowed to use specific types of rodenticides (anticoagulants) in and around buildings and only in tamper-resistant bait stations unless they complete additional training. 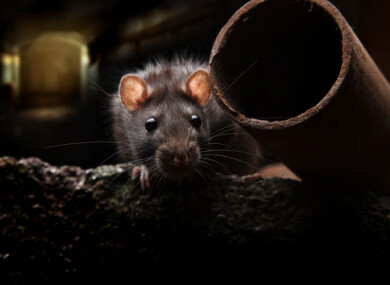 They won’t be permitted to use permanent baiting or pulsed baiting techniques, as professional pest controllers can. Email “From next year, stores will have to track the sales of rodent poison”. Feedback on “From next year, stores will have to track the sales of rodent poison”.